A few weeks ago, I talked about the pen + paper part of my creative process. 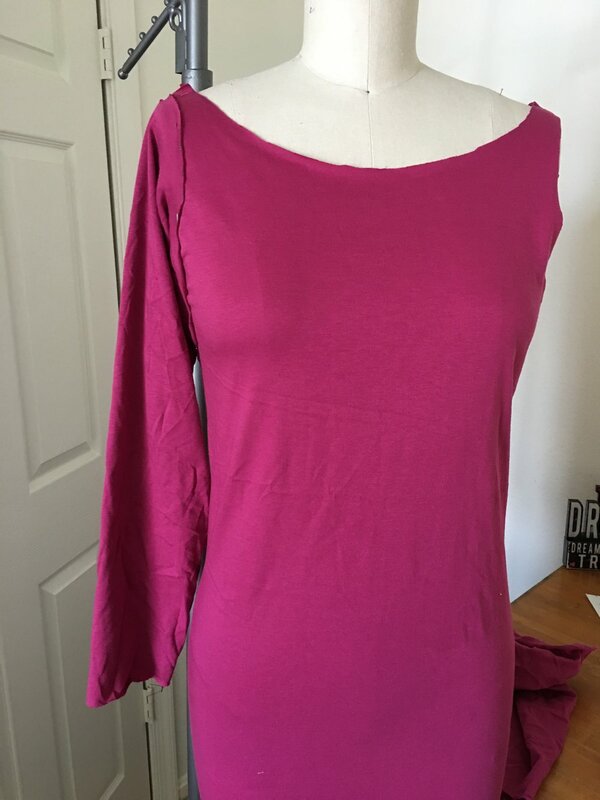 Another hugely important part of my design process is called draping. 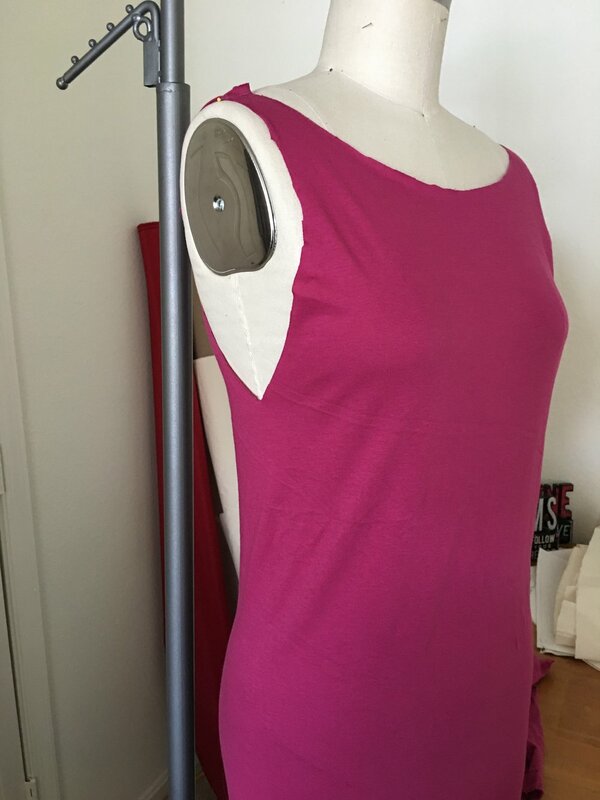 Draping is a fashion term used to refer to the process of patternmaking using fabric draped over a dressform (and sometimes even a client!) to start making the garment. There's a lot of nuance to draping, and a ton of helpful tips that I learned in fashion school, but for the most part everyone does it just a bit differently depending on their style and how they prefer to draft patterns. I use draping in two main ways. The most common way I use draping is to jump start my paper pattern with the proportions I want while eliminating guesswork and too much complicated math (shout out to my high school math teachers, I am using it every day despite my protests!). This is generally done by adding fabric to my dressform on only half of the body (for symmetry in the paper pattern), drawing the lines of the design that I want, making any adjustments or tailoring marks needed, cutting along the lines and evaluating the look. Once all that is done and I like what I've got on the form, I carefully remove the fabric and trace it onto a paper pattern that I can continue to adjust, make additional sizes and sew up a full sample garment. Another way that I'll use draping is when I've got a less clear idea in my head and I want to see how it plays out on the body. Generally this happens when I've got an amazing fabric or when I have parts of a design figured out but need to pinpoint that little something extra to make it amazing. When I drape this way, I start with any parts of the design I've got nailed down already and put those on the dressform. Then the fun begins. The literal term 'draping' is just that - draping the fabric on the form to notice how it lays, what kinds of shapes it creates and how it interacts with the body. Often when I start draping this way I end up with a design that is quite different from what I imagined initially, and generally that is 150% ok by me. 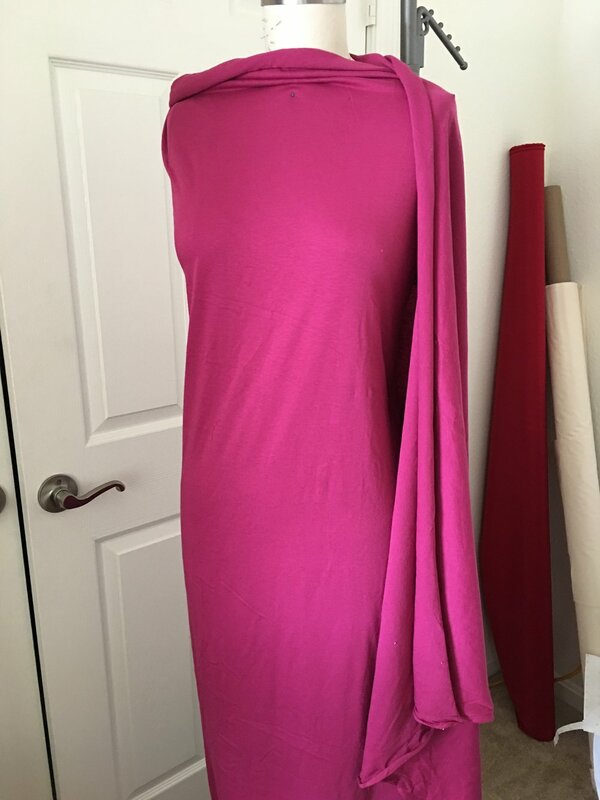 Draping is one of my favorite processes to do with clients when designing custom orders. It allows them to see the design come to life in real time on their body, and can take a design from just so-so to completely wow. Behind the Scenes, New DesignsChristina Pannone May 20, 2017 Knieriem Designssummer dresses, Small Biz, Maxi dresses, New!